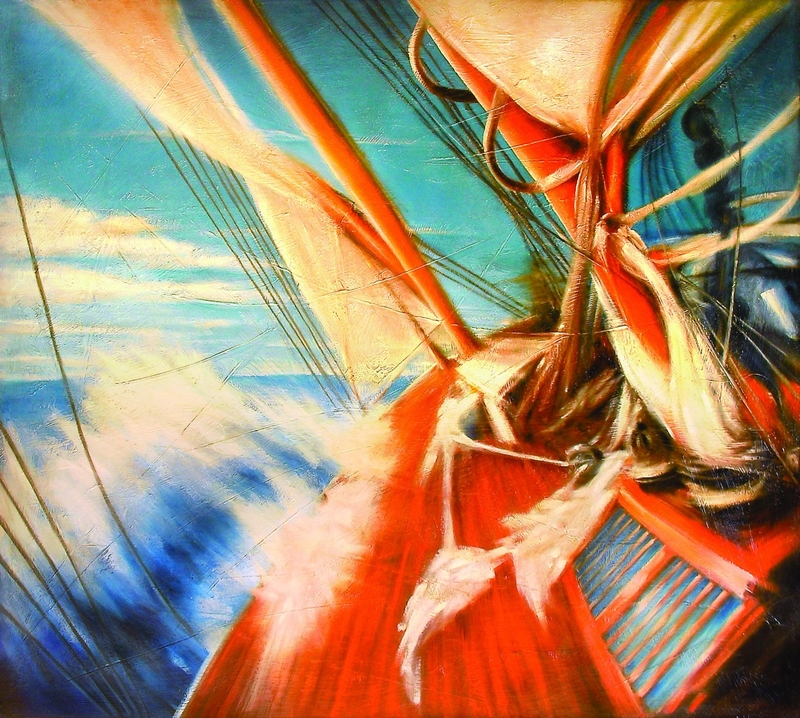 I wanted to capture the wind, water, and power of Lake Superior through this massive plaster and oil painting. In the painting though is a powerful metaphor for our life’s journey. As we look forward it is never easy and even though it may appear beautiful, it is a journey of contrasts and struggle. The wind pulls us forward but sometimes it is a leeward tension. It is keeping our eyes set forward, on mark, with God’s compass that we journey towards an infinite horizon. Inspired by the incredible beauty of Lake Superior this painting breaths it’s sublime power and expanse. The lake has an infinite and ever changing presence to it, always bringing me a sense of hope. This work shows some of it’s facets, reflecting on Superior’s clear blue magnitude through sky and water.